Disney/Pixar has released a new television spot for the upcoming Brad Bird-directed animated sequel Incredibles 2 starring Samuel L. Jackson as Lucius Best / Frozone, Sophia Bush as Voyd, Holly Hunter as Helen Parr / Elastigirl, Catherine Keener as Evelyn Deavor, Jonathan Banks as Rick Dicker, Craig T. Nelson as Bob Parr / Mr. Incredible, Brad Bird as Edna Mode, Bob Odenkirk as Winston Deavor, Isabella Rossellini as Ambassador, Sarah Vowell as Violet Parr, John Ratzenberger as The Underminer, Huck Milner as Dashiell ‘Dash’ Parr, Kimberly Adair Clark as Honey, and Toya Turner as Mrs. Best. 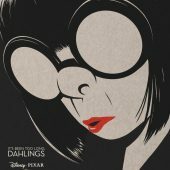 Incredibles 2 hits theaters on June 15th. Check out the hilarious new spot, below.